School has begun, and some of the schools look to see how enrollment is doing. 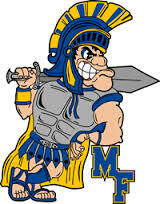 For Maroa-Forsyth enrollment is up to its 2nd highest since the 80s says Superintendent Dr. John Ahlemeyer. The new expanded pre-k program was able to become a reality with help of a grant-supported from the state. Maroa-Forsyth started its new expanded pre-k this school year and will look forward to bringing in more kids.